Since last night the internet has been all atwitter about a commentary* by Dan Gilbert and colleagues about the recent and (in my view) misnamed Reproducibility Project: Psychology. In this commentary, Gilbert et al. criticise the RPP for a number of technical reasons asserting that the sampling was non-random and biased and that essentially the conclusions, in particular in the coverage by science media and blogosphere, of a replicability crisis in psychology is unfounded. Some of their points are rather questionable to say the least and some, like their interpretation of confidence intervals, are statistically simply wrong. But I won’t talk about this here. One point they raise is the oft repeated argument that replications differed in some way from the original research. We’ve discussed this already ad nauseam in the past and there is little point going over this again. Exact replication of the methods and conditions of an original experiment can test the replicability of a finding. Indirect replications loosely testing similar hypotheses instead inform about generalisability of the idea, which in turn tells us about the robustness of the purported processes we posited. Everybody (hopefully) knows this. Both are important aspects to scientific progress. The main problem is that most debates about replicability go down that same road with people arguing about whether the replication was of sufficient quality to yield interpretable results. One example by Gilbert and co is that one of the replications in the RPP used the same video stimuli used by the original study, even though the original study was conducted in the US while the replication was carried out in the Netherlands, and the dependent variable was related to something that had no relevance to the participants in the replication (race relations and affirmative action). Other examples like this were brought up in previous debates about replication studies. A similar argument has also been made about the differences in language context between the original Bargh social priming studies and the replications. In my view, some of these points have merit and the example raised by Gilbert et al. is certain worth a facepalm or two. It does seem mind-boggling how anyone could have thought that it is valid to replicate a result about a US-specific issue in a liberal European country whilst using the original stimuli in English. But what this example illustrates is a much larger problem. In my mind that is actually the crux of the matter: Psychology, or at least most forms of more traditional psychology, do not lend themselves very well to replication. As I am wont to point out, I am not a psychologist but a neuroscientist. I do work in a psychology department, however, and my field obviously has considerable overlap with traditional psychology. I also think many subfields of experimental psychology work in much the same way as other so-called “harder” sciences. This is not to say that neuroscience, psychophysics, or other fields do not also have problems with replicability, publication bias, and other concerns that plague science as a whole. We know they do. But the social sciences, the more lofty sides of psychology dealing with vague concepts of the mind and psyche, in my view have an additional problem: They lack the lawful regularity of effects that scientific discovery requires. For example, we are currently conducting an fMRI experiment in which we replicate a previous finding. We are using the approach I have long advocated that in order to try to replicate you should design experiments that do both, replicate a previous result but also seek to address a novel question. The details of the experiment are not very important. (If we ever complete this experiment and publish it you can read about it then…) What matters is that we very closely replicate the methods of a study from 2012 and this study closely replicated the methods of one from 2008. The results are pretty consistent across all three instances of the experiment. The 2012 study provided a somewhat alternative interpretation of the findings of the 2008 one. Our experiment now adds more spatially sensitive methods to yet again paint a somewhat different picture. Since we’re not finished with it I can’t tell you how interesting this difference is. It is however already blatantly obvious that the general finding is the same. Had we analysed our experiment in the same way as the 2008 study, we would have reached the same conclusions they did. The whole idea of science is to find regularities in our complex observations of the world, to uncover lawfulness in the chaos. The entire empirical approach is based on the idea that I can perform an experiment with particular parameters and repeat it with the same results, blurred somewhat by random chance. Estimating the generalisability allows me to understand how tweaking the parameters can affect the results and thus allows me to determine what the laws are the govern the whole system. And this right there is where much of psychology has a big problem. I agree with Gilbert et al. that repeating a social effect in US participants with identical methods in Dutch participants is not a direct replication. But what would be? They discuss how the same experiment was then repeated in the US and found results weakly consistent with the original findings. But this isn’t a direct replication either. It does not suffer from the same cultural and language differences as the replication in the Netherlands did but it has other contextual discrepancies. Even repeating exactly the same experiment in the original Stanford(?) population would not necessarily be equivalent because of the time that has passed and the way cultural factors have changed. A replication is simply not possible. For all the failings that all fields of science have, this is a problem my research area does not suffer from (and to clarify: “my field” is not all of cognitive neuroscience, much of which is essentially straight-up psychology with the brain tagged on, and also while I don’t see myself as a psychologist, I certainly acknowledge that my research also involves psychology). Our experiment is done on people living in London. The 2012 study was presumably done mainly on Belgians in Belgium. As far as I know the 2008 study was run in the mid-western US. We are asking a question that deals with a fairly fundamental aspect of human brain function. This does not mean that there aren’t any population differences but our prior for such things affecting the results in a very substantial way are pretty small. Similarly, the methods can certainly modulate the results somewhat but I would expect the effects to be fairly robust to minor methodological changes. In fact, whenever we see that small changes in the method (say, the stimulus duration or the particular scanning sequence used) seem to obliterate a result completely, my first instinct is usually that such a finding is non-robust and thus unlikely to be meaningful. From where I’m standing, social and other forms of traditional psychology can’t say the same. Small contextual or methodological differences can quite likely skew the results because the mind is a damn complex thing. For that reason alone, we should expect psychology to have low replicability and the effect sizes should be pretty small (i.e. smaller than what is common in the literature) because they will always be diluted by a multitude of independent factors. Perhaps more than any other field, psychology can benefit from preregistering experimental protocols to delineate the exploratory garden-path from hypothesis-driven confirmatory results. I agree that a direct replication of a contextually dependent effect in a different country and at a different time makes little sense but that is no excuse. If you just say that the effects are so context-specific it is difficult to replicate them, you are bound to end up chasing lots of phantoms. And that isn’t science – not even a “soft” one. * At first I thought the commentary was due to be published by Science on 4th March and embargoed until that date. However, it turns out to be more complicated than that because the commentary I am discussing here is not the Science article but Gilbert et al.’s reply to Nosek et al.’s reply to Gilbert et al.’s reply to the RPP (Confused yet?). It appeared on a website and then swiftly vanished again. I don’t know how I would feel posting it because the authors evidently didn’t want it to be public. I don’t think actually having that article is central to understanding my post so I feel it’s not important. In my previous post, I talked about why I think all properly conducted research should be published. Null results are important. The larger scientific community needs to know whether or not a particular hypothesis has been tested before. Otherwise you may end up wasting somebody’s time because they repeatedly try in vain to answer the same question. What is worse, we may also propagate false positives through the scientific record because failed replications are often still not published. All of this contributes to poor replicability of scientific findings. However, the emphasis here is on ‘properly conducted research‘. I already discussed this briefly in my post but it also became the topic of an exchange between (for the most part) Brad Wyble, Daniël Lakens, and myself. In some fields, for example psychophysics, extensive piloting, and “fine-tuning” of experiments is not only very common but probably also necessary. To me it doesn’t seem sensible to make the results of all of these attempts publicly available. This inevitably floods the scientific record with garbage. Most likely nobody will look at it. Even if you are a master at documenting your work, nobody but you (and after a few months maybe not even you) will understand what is in your archive. Most importantly, it can actually be extremely misleading for others who are less familiar with the experiment to see all of the tests you did ensuring the task was actually doable, that monitors were at the correct distance from the participant, your stereoscope was properly aligned, the luminance of the stimuli was correct, that the masking procedure was effective, etc. Often you may only realise during your piloting that the beautiful stimulus you designed after much theoretical deliberation doesn’t really work in practice. For example, you may inadvertently induce an illusory percept that alters how participants respond in the task. This in fact happened recently with an experiment a collaborator of mine piloted. And more often than not, after having tested a particular task on myself at great length I then discover that it is far too difficult for anyone else (let’s talk about overtrained psychophysicists another time…). It most certainly would not be justified to include them in a meta-analysis to quantify the effect – because they presumably don’t even measure the same effect (or at least not very reliably). A standardised effect size, like Cohen’s d, is a signal-to-noise ratio as it compares an effect (e.g. difference in group means) to the variability of the sample. The variability is inevitably larger if a lot of noisy, artifactual, and quite likely erroneous data are included. While some degree of this can be accounted for in meta-analysis by using a random-effects model, it simply doesn’t make sense to include bad data. We are not interested in the meta-effect, that is, the average result over all possible experimental designs we can dream up, no matter how inadequate. What we are actually interested in is some biological effect and we should ensure that we take the most precise measurement as possible. Once you have a procedure that you are confident will yield precise measurements, by all means, carry out a confirmatory experiment. Replicate it several times, especially if it’s not an obvious effect. Pre-register your design if you feel you should. Maximise statistical power by testing many subjects if necessary (although often significance is tested on a subject-by-subject basis, so massive sample sizes are really overkill as you can treat each participant as a replication – I’ll talk about replication in a future post so I’ll leave it at this for now). But before you do all this you usually have to fine-tune an experiment, at least if it is a novel problem. Isn’t this contributing to the problem? Colleagues in social/personality psychology often seem to be puzzled and even concerned by this. The opacity of what has or hasn’t been tried is part of the problems that plague the field and lead to publication bias. There is now a whole industry meta-analysing results in the literature to quantify ‘excess significance’ or a ‘replication index’. This aims to reveal whether some additional results, especially null results, may have been suppressed or if p-hacking was employed. Don’t these pilot experiments count as suppressed studies or p-hacking? No, at least not if this is done properly. The criteria you use to design your study must of course be orthogonal to and independent from your hypothesis. Publication bias, p-hacking, and other questionable practices are all actually sub-forms of circular reasoning: You must never use the results of your experiment to inform the design as you may end up chasing (overfitting) ghosts in your data. Of course, you must not run 2-3 subjects on an experiment, look at the results and say ‘The hypothesis wasn’t confirmed. Let’s tweak a parameter and start over.’ This would indeed be p-hacking (or rather ‘result hacking’ – there are usually no p-values at this stage). So these data are garbage. It makes no sense to meta-analyse biologically implausible parameter estimates. We have no idea what the participant was doing here and thus we can also have no idea what effect we are measuring. Now this particular example is actually a participant a student ran as part of their project. If you did this pilot experiment on yourself (or a colleague) you might have worked out what the reason for the poor performance was. In my view, it is entirely justified to exclude such data from our publicly shared data repositories. It would be a major hassle to document all these iterations. And what is worse, it would obfuscate the results for anyone looking at the archive. If I look at a data set and see a whole string of brief attempts from a handful of subjects (usually just the main author), I could be forgiven for thinking that something dubious is going on here. However, in most cases this would be unjustified and a complete waste of everybody’s time. At the same time, however, I also believe in transparency. Unfortunately, some people do engage in result-hacking and iteratively enhance their findings by making the experimental design contingent on the results. In most such cases this is probably not done deliberately and with malicious intent – but that doesn’t make it any less questionable. All too often people like to fiddle with their experimental design while the actual data collection is already underway. In my experience this tendency is particularly severe among psychophysicists who moved into neuroimaging where this is a really terrible (and costly) idea. How can we reconcile these issues? In my mind, the best way is perhaps to document briefly what you did to refine the experimental design. We honestly don’t need or want to see all the failed attempts at setting up an experiment but it could certainly be useful to have an account of how the design was chosen. What experimental parameters were varied? 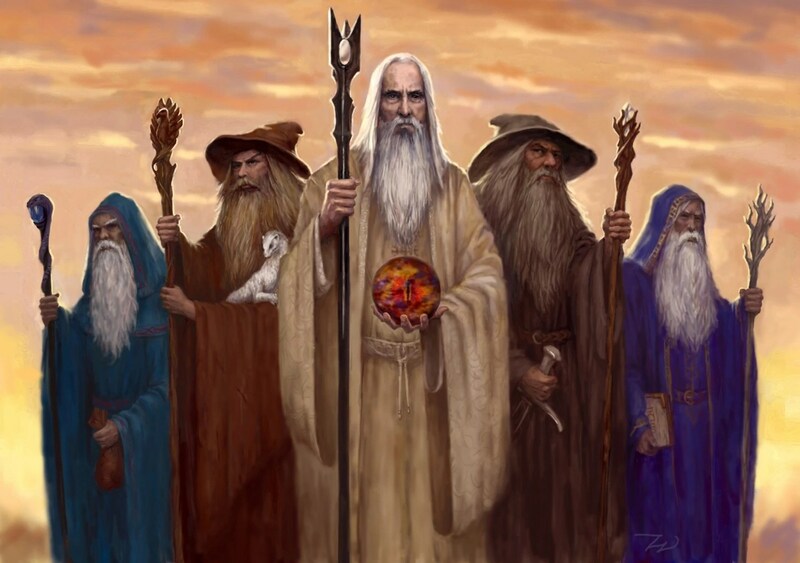 How and why were they chosen? How many pilot participants were there? This last point is particularly telling. When I pilot something, there usually is one subject: Sam. Possibly I will have also tested one or two others, usually lab members, to see if my familiarity with the design influences my results. Only if the design passes quality assurance, say by producing clear psychometric curves or by showing to-be-expected results in a sanity check (e.g., the expected response on catch trials), I would dare to actually subject “real” people to a novel design. Having some record, even if as part of the documentation of your data set, is certainly a good idea though. How does this relate to the wider debate? I don’t know how applicable these points are to social psychology research. I am not a social psychologist and my main knowledge about their experiments are from reading particularly controversial studies or the discussions about them on social media. I guess that some of these issues do apply but that it is far less common. An equivalent situation to what I describe here would be that you redesign your questionnaire because it people always score at maximum – and by ‘people’ I mean the lead author :P. I don’t think this is a realistic situation in social psychology, but it is exactly how psychophysical experiments work. Basically, what we do in piloting is what a chemist would do when they are calibrating their scales or cleaning their test tubes. Or here’s another analogy using a famous controversial social psychology finding we discussed previously: Assume you want to test whether some stimulus makes people walk more slowly as they leave the lab. What I do in my pilot experiments is to ensure that the measurement I take of their walking speed is robust. This could involve measuring the walking time for a number of people before actually doing any experiment. It could also involve setting up sensors to automate this measurement (more automation is always good to remove human bias but of course this procedure needs to be tested too!). I assume – or I certainly hope so at least – that the authors of these social psychology studies did such pre-experiment testing that was not reported in their publications. As I said before, humans are dirty test tubes. But you should ensure that you get them as clean as you can before you pour in your hypothesis. Perhaps a lot of this falls under methods we don’t report. I’m all for reducing this. Methods sections frequently lack necessary detail. But to some extend, I think some unreported methods and tests are unavoidable. My previous post sparked a number of responses from various corners, including some exchanges I had on Twitter as well as two blog posts, one by Simine Vazire and another one following on from that. In addition, there has also been another post which discussed (and, in my opinion, misrepresented) similar things I said recently at the UCL “Is Science Broken” panel discussion. Why do you hate replications? I don’t. I am saying replications are central to good science. This means all (or close to it) studies should contain replications as part of their design. It should be a daisy chain. Each experiment should contain some replications, some sanity checks and control conditions. This serves two purposes: it shows that your experiment was done properly and it helps to accumulate evidence on whether or not the previous findings are reliable. Thus we must stop distinguishing between “replicators” and “original authors”. All scientists should be replicators all the bloody time! Why should replicators have to show why they failed to replicate? They shouldn’t. But, as I said in the previous point, they should be expected to provide evidence that they did a proper experiment. And of course the original study should be held to the same standard. This could in fact be a sanity check: if you show that the method used couldn’t possibly reveal reliable data this speaks volumes about the original effect. It’s not the replicator’s fault if the original study didn’t contain a sanity check! That is true. It isn’t your fault if the previous study was badly designed. But it is your fault if you are aware of that defect and nonetheless don’t try to do better. And it’s not really that black and white. What was good design yesterday can be bad design today and indefensibly terrible tomorrow. We can always do better. That’s called progress. But… but… fluke… *gasp* type 1 error… Randomness!?! Almost every time I discuss this topic someone will righteously point out that I am ignoring the null hypothesis. I am not. Of course the original finding may be a total fluke but you simply can’t know for sure. Under certain provisions you can test predictions that the null hypothesis makes (with Bayesian inference anyway). But that isn’t the same. There are a billion reasons between heaven and earth why you may fail a replication. You don’t even need to do it poorly. It may just be bad luck. Brain-behaviour correlations observed in London will not necessarily be detectable in Amsterdam* because the heterogeneity, and thus the inter-individual variance, in the latter sample is likely to be smaller. This means that for the very same effect size resulting from the same underlying biological process you may need more statistical power. Of course, it could also be some methodological error. Or perhaps the original finding was just a false positive. You can never know. Confirming the original result was a fluke is new information! That view is problematic for two reasons. First of all, it is impossible to prove the null (yes, even for Bayesians). Science isn’t math, it doesn’t prove anything. You just collect data that may or may not be consistent with theoretical predictions. Secondly, you should never put too much confidence in any new glorious findings – even if it was high powered (because you don’t really know that) and pre-registered (because that doesn’t prevent people from making mistakes). So your prior that the result is a fluke should be strong anyway. You don’t learn very much new from that. What then would tell me new information? A new experiment that tests the same theory – or perhaps even a better theory. It can be a close replication but it can also be a largely conceptual one. I think this dichotomy is false. There are no true direct replications and even if there were they would be pointless. The directness of replication exists on a spectrum (I’ve said this already in a previous post). I admit that the definition of “conceptual” replications in the social priming literature is sometimes a fairly large stretch. You are free to disagree with them. The point is though that if a theory is so flaky that modest changes completely obliterate it then the onus is on the proponent of the theory to show why. In fact, this could be the new, better experiment you’re doing. This is how a replication effort can generate new hypotheses. Please leave the poor replicators alone! Science clearly isn’t self-correcting or it wouldn’t be broken! Apart from being a circular argument, this is also demonstrably wrong. Science isn’t a perpetual motion machine. Science is what scientists do. The fact that we are having these debates is conclusive proof that science self-corrects. I don’t see any tyrannical overlord dictating us to do any of this. So what do you think should be done? As I have said many times before, I think we need to train our students (and ourselves) in scientific skepticism and strong inference. We should stop being wedded to our pet theories. We need to make it easier to seek the truth rather than fame. For all I care, pre-registration can probably help with that but it won’t be enough. We have to stop the pervasive idea that an experiment “worked” when it confirmed your hypothesis and failed when it didn’t. We should read Feynman’s Cargo Cult Science. And after thinking about all this negativity, wash it all down by reading (or watching) Carl Sagan to remember how many mysteries yet wait to be solved in this amazing universe we inhabit. In recent months I have written a lot (and thought a lot more) about the replication crisis and the proliferation of direct replication attempts. I admit I haven’t bothered to quantify this but I have an impression that most of these attempts fail to reproduce the findings they try to replicate. I can understand why this is unsettling to many people. However, as I have argued before, I find the current replication movement somewhat misguided. Over the past year I have also written a lot too much about Psi research. Most recently, I summarised my views on this in an uncharacteristically short post (by my standards) in reply to Jacob Jolij. But only very recently I realised my that my views on all of this actually converge on the same fundamental issue. On that note I would like to thank Malte Elson with whom I discussed some of these issues at that Open Science event at UCL recently. Our conversation played a significant role in clarifying my thoughts on this. My main problem with Psi research is that it has no firm theoretical basis and that the use of labels like “Psi” or “anomalous” or whatnot reveals that this line of research is simply about stating the obvious. There will always be unexplained data but that doesn’t prove any theory. It has now dawned on me that my discomfort with the current replication movement stems from the same problem: failed direct replications do not explain anything. They don’t provide any theoretical advance to our knowledge about the world. I am certainly not the first person to say this. Jason Mitchell’s treatise about failed replications covered many of the same points. In my opinion it is unfortunate that these issues have been largely ignored by commenters. Instead his post has been widely maligned and ridiculed. In my mind, this reaction was not only uncivil but really quite counter-productive to the whole debate. A major problem with his argument was pointed out by Neuroskeptic: Mitchell seems to hold replication attempts to a different standard than original research. While I often wonder if it is easier to incompetently fail to replicate a result than to incompetently p-hack it into existence, I agree that it is not really feasible to take that into account. I believe science should err on the side of open-minded skepticism. Thus even though it is very easy to fail to replicate a finding, the only truly balanced view is to use the same standards for original and replication evidence alike. Mitchell describes the problems with direct replications with a famous analogy: if you want to prove the existence of black swans, all it takes is to show one example. No matter how many white swans you may produce afterwards, they can never refute the original reports. However, in my mind this analogy is flawed. 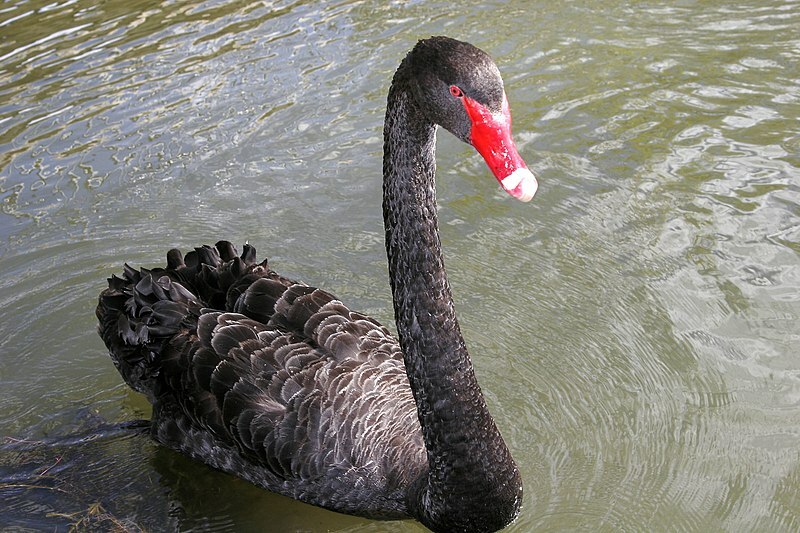 Most of the effects we study in psychology or neuroscience research are not black swans. A significant social priming effect or a structural brain-behaviour correlation is not irrefutable evidence that it is real. Imagine that there really were no black swans. It is conceivable that someone might parade around a black swan but maybe it’s all an elaborate hoax. Perhaps somebody just painted a white swan? Frauds of such a sensational nature are not unheard of in science, but most of us trust that they are nonetheless rare. More likely, it could be that the evidence is somehow faulty. Perhaps the swan was spotted in poor lighting conditions making it appear black. Considering how many people can disagree about whether a photo depicts a black or a white dress this possibility seems entirely conceivable. Thus simply showing a black swan is insufficient evidence. On the other hand, Mitchell is entirely correct that parading a whole swarm of white swans is also insufficient evidence against the existence of black swans. The same principle applies here. The evidence could also be faulty. If we only looked at swans native to Europe we would have a severe sampling bias. In the worst case, people might be photographing black swans under conditions that make them appear white. This brings us to another oft repeated argument about direct replications. Perhaps the “replicators” are just incompetent or lacking in skill. Mitchell also has an analogy for this (which I unintentionally also used in my previous post). Replicators may just be bad cooks who follow the recipes but nonetheless fail to produce meals that match the beautiful photographs in the cookbooks. In contrast, Neuroskeptic referred to this tongue-in-cheek as the Harry Potter Theory: only those blessed with magical powers are able to replicate. Inept “muggles” failing to replicate a social priming effect should just be ignored. In my opinion both of these analogies are partly right. The cooking analogy correctly points out that simply following the recipe in a cookbook does not make you a master chef. However, it also ignores the fact that the beautiful photographs in a cookbook are frequently not entirely genuine. To my knowledge, many cookbook photos are actually of cold food to circumvent problems like steam on the camera etc. Most likely the photos will have been doctored in some way and they will almost certainly be the best pick out of several cooking attempts and numerous photos. So while it is true that the cook was an expert while you probably aren’t, the photo does not necessarily depict a representative meal. The jocular wizardry argument implies that anyone with a modicum of expertise in a research area should be able to replicate a research finding. As students we are taught that the methods sections of our research publications should allow anyone to replicate our experiments. But this is certainly not feasible: some level of expertise and background knowledge should be expected for a successful replication. I don’t think I could replicate any findings in radio astronomy regardless how well established they may be. One frustration many authors of results that have failed to replicate have expressed to me (and elsewhere) is the implicit assumption by many “replicators” that social psychology research is easy. I am not a social psychologist. I have no idea how easy these experiments are but I am willing to give people the benefit of the doubt here. It is possible that some replication attempts overlook critical aspects of the original experiments. However, I think one of the key points of Neuroskeptic’s Harry Potter argument applies here: the validity of a “replicator’s” expertise, that is their ability to cast spells, cannot be contingent on their ability to produce these effects in the first place. This sort of reasoning seems circular and, appropriately enough, sounds like magical thinking. The way I see it both arguments carry some weight here. I believe that muggles replicators should have to demonstrate their ability to do this kind of research properly in order for us to have any confidence in their failed wizardry. When it comes to the recent failure to replicate nearly half a dozen studies reporting structural brain-behaviour correlations, Ryota Kanai suggested that the replicators should have analysed the age dependence of grey matter density to confirm that their methods were sensitive enough to detect such well-established effects. Similarly, all the large-scale replication attempts in social psychology should contain such sanity checks. On a positive note, the Many Labs 3 project included a replication of the Stroop effect and similar objective tests that fulfill such a role. However, while such clear-cut baselines are great they are probably insufficient, in particular if the effect size of the “sanity check” is substantially greater than the effect of interest. Ideally, any replication attempt should contain a theoretical basis, an alternative hypothesis to be tested that could explain the original findings. As I said previously, it is the absence of such theoretical considerations that makes most failed replications so unsatisfying to me. The problem is that for a lot of the replication attempts, whether they are of brain-behaviour correlations, social priming, or Bem’s precognition effects, the only underlying theory replicators put forth is that the original findings were spurious and potentially due to publication bias, p-hacking and/or questionable research practices. This seems mostly unfalsifiable. Perhaps these replication studies could incorporate control conditions/analyses to quantify the severity of p-hacking required to produce the original effects. But this is presumably unfeasible in practice because the parameter space of questionable research practices is so vast that it is impossible to derive a sufficiently accurate measure of them. In a sense, methods for detecting publication bias in meta-analysis are a way to estimate this but the evidence they provide is only probabilistic, not experimental. Of course this doesn’t mean that we cannot have replication attempts in the absence of a good alternative hypothesis. My mentors instilled in me the view that any properly conducted experiment should be published. It shouldn’t matter whether the results are positive, negative, or inconclusive. Publication bias is perhaps the most pervasive problem scientific research faces and we should seek to reduce it, not amplify it by restricting what should and shouldn’t be published. Rather I believe we must change the philosophy underlying our attempts to improve science. If you disbelieve the claims of many social priming studies (and honestly, I don’t blame you!) it would be far more convincing to test a hypothesis on why the entire theory is false than showing that some specific findings fail to replicate. It would also free up a lot of resources to actually advance scientific knowledge that are currently used on dismantling implausible ideas. There is a reason why I haven’t tried to replicate “presentiment” experiments even though I have written about it. Well, to be honest the biggest reason is that my grant is actually quite specific as to what research I should be doing. However, if I were to replicate these findings I would want to test a reasonable hypothesis as to how they come about. I actually have some ideas how to do that but in all honesty I simply find these effects so implausible that I don’t really feel like investing a lot of my time into testing them. Still, if I were to try a replication it would have to be to test an alternative theory because a direct replication is simply insufficient. If my replication failed, it would confirm my prior beliefs but not explain anything. However, if it succeeded, I probably still wouldn’t believe the claims. In other words, we wouldn’t have learned very much either way.